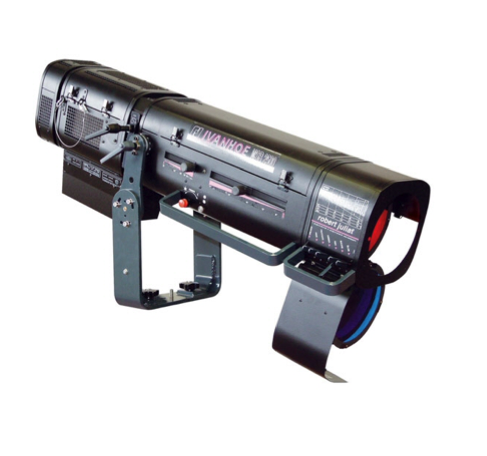 The Robert Juliat Ivan Hoe is a very powerful follow spot fitted with a single-ended 2500W discharge lamp.Thanks to its maximum beam angle of 21°, the Ivan Hoe is ideal for bright follows over medium range distances from 15 – 35m. The Ivan Hoe is very well appreciated at high performance theatrical applications for it’s accurate optical system and silent operation. Also ideal for medium throw venue jobs.